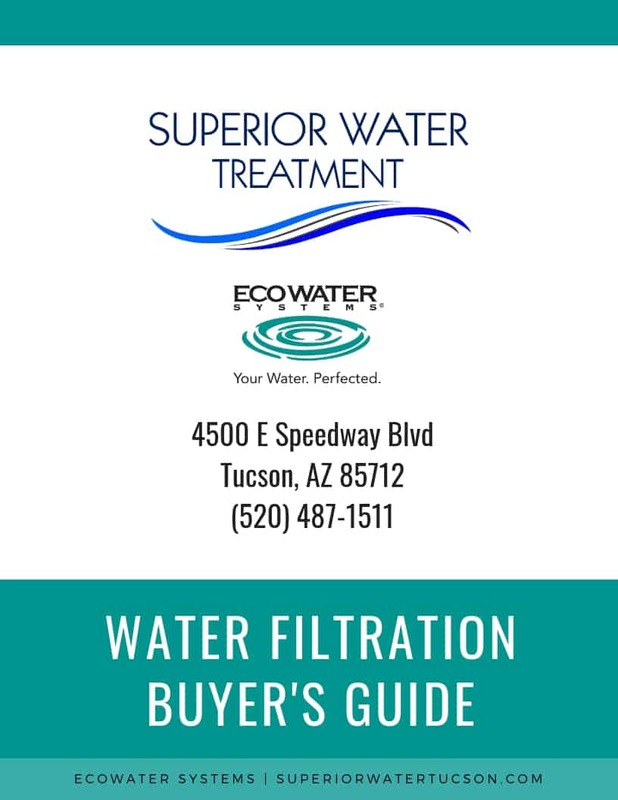 At Superior Water Tucson, we provide all-in-one whole home filtration systems and under-the-sink drinking water systems which creates bottled-quality water from your existing water source! Our systems are proven to remove common and not-so-common contaminants so you can be worry-free when it comes to the water going into your body and on your skin. If you can picture your life with less time spent cleaning and worrying about what’s in the water you drink, then you can picture your life with water treatment from the professionals at Superior Water Tucson. Superior Water Tucson offers a variety of hardness removal systems that ensure sparkling drinking glasses, clear shower glass, soft skin and hair, and lots of suds in your bubble bath (of course now you’ll have time to be IN the tub, instead of scrubbing the tub).